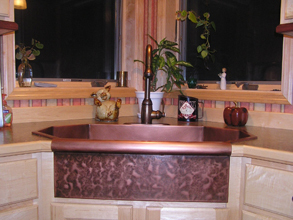 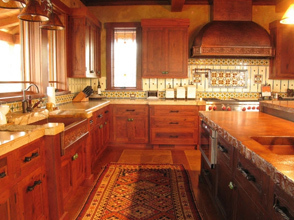 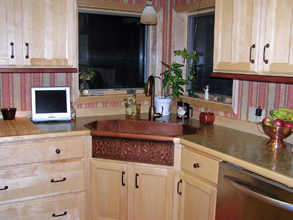 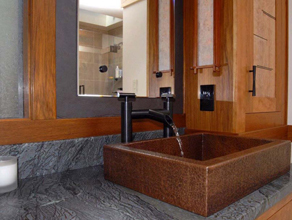 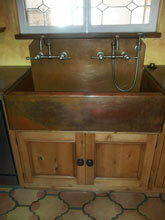 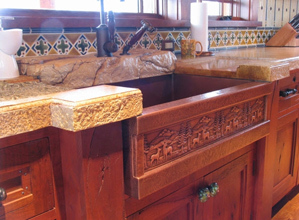 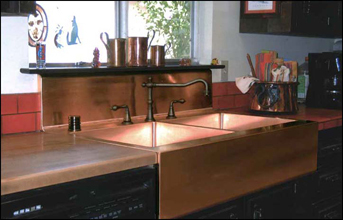 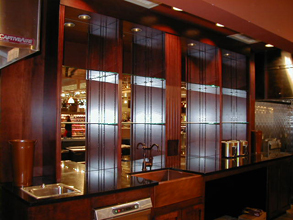 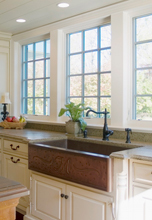 Custom Kitchen Sinks - #3425 | Handcrafted Metal Inc.
Price $3214 Free Shipping To US Lower 48 States! 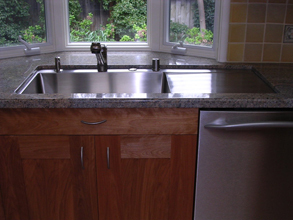 This large double sink is undermounted and has custom angled corners. 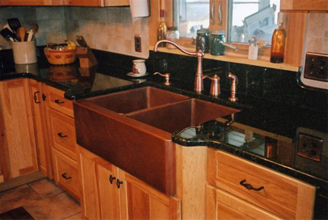 The entire sink is made from 48 ounce. 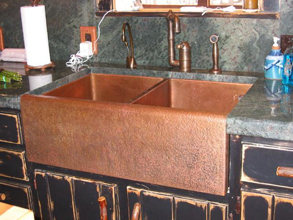 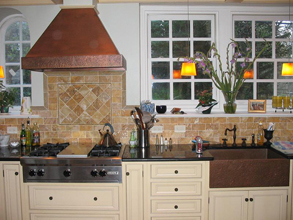 copper and is finish with our Medium antique patina.